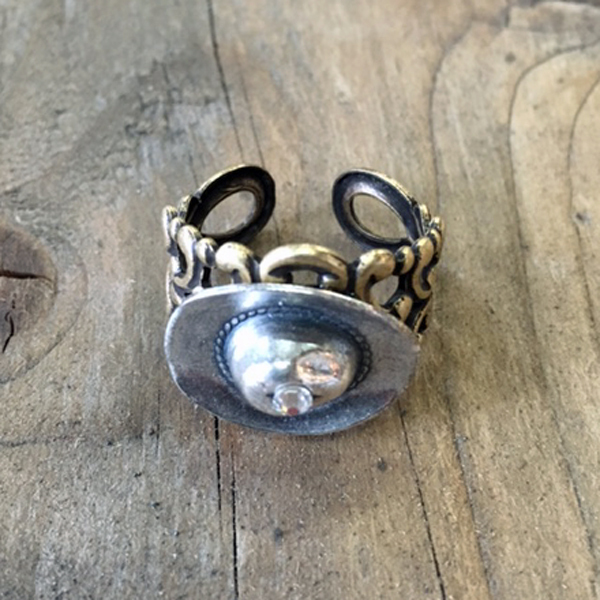 A tiny cowboy hat tops this filigree adjustable ring, and on the hat sits a Swarovski crystal for a little bling. Mixed metal. Fits most ring sizes.